“It’s not simple,” says an insurance agent from Valley First Insurance Services in Kamloops when asked about insurance coverage for RV owners. “Every person is unique and their situation is different than everyone else’s”. Questions arose when we received an email from a frustrated reader who wanted to do some extensive traveling in the US and Canada and wanted to travel for a few months each year, park his rig at his last destination and return there a few months later to carry on his travels to the next destination on his list. He wants to do this for a few years rather than driving his motorhome back home each time. He would like to start his trip the next year at the last stop from the previous year saving wear and tear on his motorhome and save travel time. If you are out of BC for longer than six months is the vehicle insurance valid? The Valley First Agent initially said the RVer would need to obtain private insurance to be out of the province longer than six months, but in BC the vehicle must first be registered with ICBC to obtain a BC plate so that really doesn’t fix the problem. An Agent from BCAA said there is no limit to the length of time someone can have the RV out of the province. The problem arises if they wish to leave it parked and fly home. It won’t be insured if they leave it even if it’s in a proper storage facility. On the ICBC website there is no mention of having to be in the province for at least 6 months of the year although it does state that the insurance is valid anywhere in Canada and the continental US. When speaking with the agent from Valley First she too was not sure of what the rules are and stated that she would treat each customer individually and would call ICBC for clarification on each case. There would be no guessing on her part because of the magnitude of a potential problem. How do Snowbirds insure RVs left in the USA? So what do Snowbirds do if they leave the RV in Arizona or another southern state when they come home for the summer months? They need insurance in case of something going wrong. 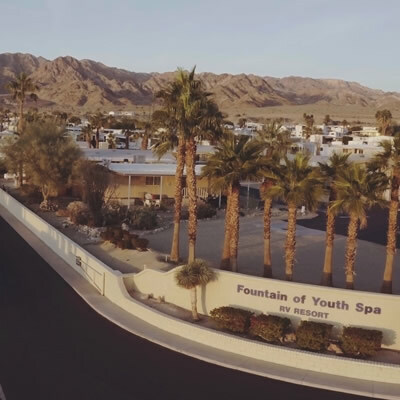 According to the agent for theArizonaGroup in Mesa, Arizona who said that RVs set up permanently or semi-permanently in an Arizona Park must register it in that state and insure it there as well. They can use the address of the RV Park to register the RV and insurance and receive mail there, keeping it legal. BCAA will not insure an RV parked year-round in a park in Southern United States, nor will ICBC. There may be special accommodation for those parking an RV in the US within 25 miles of BC by BCAA. The length of time for the RV owners being out of the province is affected by our medical services but there again there may be special permission given if the people are planning an extended vacation. The length of time they spend in the United States is determined by the US government and is a completely different issue. It is possible for RVers or someone who wishes to take an extended vacation to obtain permission for medical coverage beyond the six months based on individual need. It’s up to the individual to know what they want. Another option may be to join an RV Club with a mailing service and register the RV in the club’s home state with the ability to travel anywhere and be covered. There may be a need to advise them that the unit is being stored and obtain extra coverage. One such club is the Escapees RV Club in Texas. Can you be out of the province of BC with your RV longer than six months? It appears that you can and your vehicle insurance will cover you – possibly more definite with a private insurance carrier. Don’t make the assumption that because you have a BC or Alberta license plate and insurance on your RV that you are protected. 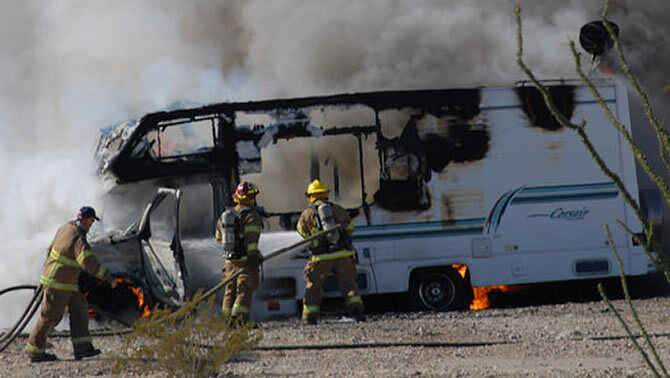 Do your due diligence and tell your insurance agent exactly what your plans are and get them to contact ICBC for clarification and a guarantee that your RV is insured on your trip. Every situation is different and unique and you definitely don’t want to take any unnecessary chances. 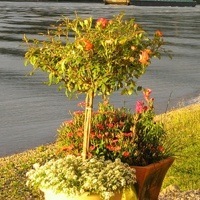 Creating a container garden includes having soil, a container, plants and water and really doesn’t need to be difficult.